April is overflowing with special events and exhibitions featuring countries, cultures, and parts of town near and far. Three of my favorite Los Angeles events return this month: Scandinavian Festival at California Lutheran University, LA Times Festival of Books at USC, and CicLAvia in the foothills of the San Gabriel Mountains. I highly recommend them all, but unfortunately, they all fall on the same weekend. Some difficult choices will have to be made. Bunka-Sai Japanese Cultural Festival, Ken Miller Recreation Center, Torrance, Saturday, 4/7, & Sunday, 4/8. Come enjoy Japanese culture at the Bunka-Sai Festival sponsored by the Torrance Sister City Association. Enjoy children’s games and activities, tasty plate lunches, baked goods, craft items, and cultural performances. To see performance schedule, click here. 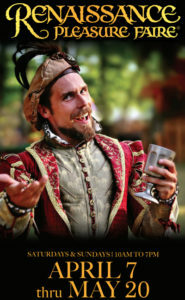 Renaissance Pleasure Faire, Santa Fe Dam Recreation Area, Irwindale, Saturdays & Sundays only, April 7 to May 20. This is the opening weekend of the annual Renaissance Pleasure Faire. Travel back to the 16th century and experience the glory of life during the Renaissance era. Take in 13 stages offering a variety of entertainment all day long, a fully armored joust, the Queen and her glittering Court, arts and crafts, food and fine spirits, music, dance, parades, rides and games. There are also interactive adventure quests for all ages and opportunities to learn historic arts and crafts. Visit website for information on special events and themed weekends and a schedule of performances as well as a coupon to save on admission. Opening Day: hapa.me – 15 years of the hapa project, Japanese American National Museum, Little Tokyo, Downtown LA, April 7 – October 28. 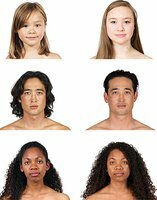 In this new exhibition, artist Kip Fulbeck continues his project, begun in 2001, of photographing persons who identify as “Hapa”—of mixed Asian/Pacific Islander descent—as a means of promoting awareness and positive acceptance of multiracial identity. hapa.me pairs the photographs and statements from the groundbreaking 2006 exhibition, kip fulbeck: part asian, 100% hapa, with contemporary portraits of the same individuals and newly written statements, showing not only their physical changes in the ensuing years, but also changes in their perspectives and outlooks on the world. Click here to see a schedule of special activities to mark Opening Day. Undiscovered Chinatown Walking Tour, Chinatown, Downtown LA, Saturday, 4/7, 10:30 a.m. – 1:00 p.m. (Offered every first Saturday of the month). Visit a temple, an herbal shop, art galleries, antique stores, and more when guided to the unique treasures—not to mention great bargains—to be found in Chinatown. Wear comfortable walking shoes and be prepared to wind your way through a myriad of alleyways, plaza stalls, and classical courtyards to discover the charm of L.A.’s Chinatown. 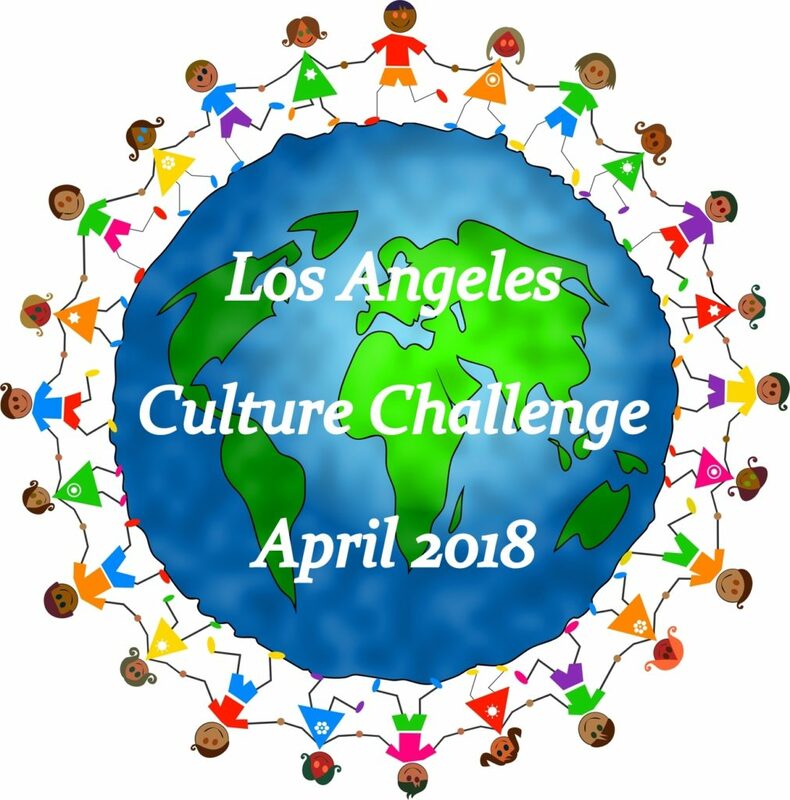 Greece: Gods and Goddess Tile Mosaic (Family Art Workshop), Junior Arts Center at Barnsdall Art Park, Hollywood/Los Feliz, Sunday, 4/8, 10:00 a.m. – 12:00 p.m. Come for a free family art workshop in a real art studio. All materials are provided. Each Sunday a different culture and media are featured. 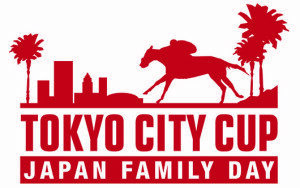 Tokyo City Cup & Japan Family Day 2018, Santa Anita Park, Arcadia, Sunday, 4/8, 10:30 a.m. Each year the Tokyo City Cup Race is run to acknowledge and celebrate the partnership between two of the premier horse racing tracks in their respective countries. Japan Family Day at Santa Anita Park was started as a way to introduce Japanese traditional culture and to interact with the people of Southern California. Through the years, it has become one of the most popular spring festivals in the area. Featuring cultural events and demonstrations, Japanese/Asian/Fusion food booths, live entertainment, and special fun areas for kids and families, Japan Family Day has something for everyone. Visit website for schedule of events and coupon for free general admission. Explore the Art of Printmaking (Free Second Sunday), USC Pacific Asia Museum, Pasadena, Sunday, 4/8, 11:00 a.m. Explore the art of printmaking with special guests from Self Help Graphics & Art (SHG). Artist from their Bario Mobile Art Studio will guide you through the process of making your own silkscreen printed poster. While you’re there, don’t miss your chance to go on a guided tour of Winds from Fusang: Mexico and China in the Twentieth Century and listen to story time in the Silk Road Gallery. Free admission all day. 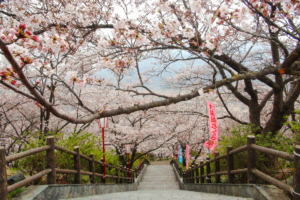 Japanese Cherry Blossom Festival, Bowers Museum, Santa Ana, Sunday, 4/8, 11:00 a.m. – 3:30 p.m. April’s festival features Taiko Center of Los Angeles and visiting artist Fuden Daiko from Fudenji Zen Monastery in Salsomaggiore Terme, Italy. Enjoy beautiful folk and classical dances, as well as koto and lute music of Japan. Feast your eyes on the work of world renown candy sculptor Shan Ichiyanagi. Round out the day with art projects and face painting for the entire family. Panamanian Cosmos (Andell Family Sundays), LACMA, Los Angeles, Sunday, 4/8, 12:30 p.m. – 3:30 p.m. Make, look, and talk about art at Andell Family Sundays! Drop in anytime between 12:30 and 3:30 p.m. This weekly family event features artist-led workshops and friendly gallery tours and activities thematically based on special exhibitions and LACMA’s permanent collection. This month, check out the animals (real and mythical) of ancient Panama in Creatures of the Earth, Sea, and Sky: Painting the Panamanian Cosmos. Painted on ceramics, these playful depictions of serpents, armadillos, fish, and other creatures will inspire your own clay pinch-pots and animal drawings in artist-led workshops. Family Jam: Making Art and Music with Masanga Marimba, Fowler Museum at UCLA, Westwood, Sunday, 4/8, 1:00 p.m. – 4:00 p.m. Join us for an afternoon of art making and live music celebrating our Pacific Standard Time: LA/LA exhibition, Axé Bahia: The Power of Art in an Afro-Brazilian Metropolis. Find inspiration in the galleries, use watercolors to recreate the colorful textiles worn by women in Bahia, and listen as the LA-based Masanga Marimba Ensemble plays traditional and popular music from Africa and Latin America. Drop-in art making from 1-4pm. Concert starts at 2pm. 20th Annual Chumash Day Powwow and Inter-Tribal Celebration, Malibu Bluffs Park, Malibu, Saturday, 4/14, & Sunday, 4/15. 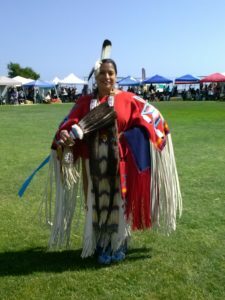 This year’s 20th annual Chumash Day Powwow will celebrate Native Americans from all over the country. Hundreds of tribes will gather at Malibu Bluffs Park. Native American food, craft vendors, tribal ceremonies, and dances will be a part of the event on both days. Thailand: Thai New Year Puppets (Family Art Workshop), Junior Arts Center at Barnsdall Art Park, Hollywood/Los Feliz, Sunday, 4/15, 10:00 a.m. – 12:00 p.m. Come for a free family art workshop in a real art studio. All materials are provided. Each Sunday a different culture and media are featured. Panamanian Cosmos (Andell Family Sundays), LACMA, Los Angeles, Sunday, 4/15, 12:30 p.m. – 3:30 p.m. Make, look, and talk about art at Andell Family Sundays! Drop in anytime between 12:30 and 3:30 p.m. This weekly family event features artist-led workshops and friendly gallery tours and activities thematically based on special exhibitions and LACMA’s permanent collection. This month, check out the animals (real and mythical) of ancient Panama in Creatures of the Earth, Sea, and Sky: Painting the Panamanian Cosmos. Painted on ceramics, these playful depictions of serpents, armadillos, fish, and other creatures will inspire your own clay pinch-pots and animal drawings in artist-led workshops. 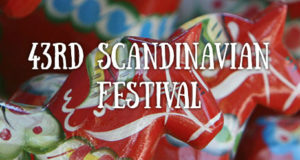 Scandinavian Festival, California Lutheran University, Thousand Oaks, Saturday, 4/21, & Sunday, 4/22. The Scandinavian Festival returns for the 43rd year. Both days of the festival are filled with music, dancing, food, lectures, demonstrations, vendors, and activities for young and old alike. The Viking Encampment and Sami Village will once again be present. Family activities include head wreath making with real flowers, raising the Maypole and dancing around it, learning the ancient Viking game Kubb, playing croquet, and a variety of arts and crafts representative of the Nordic countries. Los Angeles Times Festival of Books, USC Campus, Exposition Park, Saturday, 4/21, and Sunday, 4/22. Enjoy two days of not only books and authors, but also music, food, art, culture, and fun. The Festival of Books is Los Angeles Times’ annual celebration of ideas, creativity, and the written word. The Festival brings book lovers and fun seekers of all ages together with their favorite authors, artists, chefs, musicians, and entertainers. CicLAvia: Heart of the Foothills, Foothills of San Gabriel Mountains, Sunday, 4/22, 9:00 a.m. – 4:00 p.m. CicLAvia kicks off 2018 with a brand new route, Heart of the Foothills. The country’s largest open streets event will connect the cities of San Dimas, La Verne, Pomona, and Claremont. Streets will be closed to cars and open for cyclists, pedestrians, runners, and skaters to use as a recreational space. Panamanian Cosmos (Andell Family Sundays), LACMA, Los Angeles, Sunday, 4/22, 12:30 p.m. – 3:30 p.m. Make, look, and talk about art at Andell Family Sundays! Drop in anytime between 12:30 and 3:30 p.m. This weekly family event features artist-led workshops and friendly gallery tours and activities thematically based on special exhibitions and LACMA’s permanent collection. This month, check out the animals (real and mythical) of ancient Panama in Creatures of the Earth, Sea, and Sky: Painting the Panamanian Cosmos. Painted on ceramics, these playful depictions of serpents, armadillos, fish, and other creatures will inspire your own clay pinch-pots and animal drawings in artist-led workshops. Kids in the Courtyard: Sail Away in Moche-Style, Fowler Museum at UCLA, Westwood, Sunday, 4/22, 1:00 p.m. – 4:00 p.m. Explore the magnificent tule reed boats illustrated on a Peruvian Moche-style vessel in the exhibition Intersections: World Arts, Local Lives. Surrounded by sea creatures, the boats are shown transporting people, most of whom are elaborately dressed. Design your own boat and watch it float in the Fowler’s fountain, your bathtub, the pool, or even the sea! 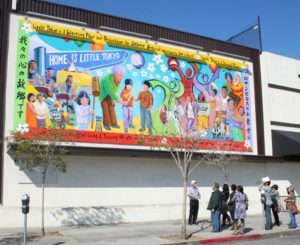 Little Tokyo Walking Tour, Japanese American National Museum, Downtown LA, Saturday, 4/28, 10:15 a.m. – 12:15 p.m. Relive history and learn about present-day Little Tokyo with JANM docents. Comfortable walking shoes are recommended. Weather permitting. Buy tickets in advance. Cost is $12 members, $15 non-members. Museum admission is included. Limited to 20 participants. Ancient Sumer: Deer in a Thicket Sculpture (Family Art Workshop), Junior Arts Center at Barnsdall Art Park, Hollywood/Los Feliz, Sunday, 4/29, 10:00 a.m. – 12:00 p.m. Come for a free family art workshop in a real art studio. All materials are provided. Each Sunday a different culture and media are featured. Panamanian Cosmos (Andell Family Sundays), LACMA, Los Angeles, Sunday, 4/29, 12:30 p.m. – 3:30 p.m. Make, look, and talk about art at Andell Family Sundays! Drop in anytime between 12:30 and 3:30 p.m. This weekly family event features artist-led workshops and friendly gallery tours and activities thematically based on special exhibitions and LACMA’s permanent collection. This month, check out the animals (real and mythical) of ancient Panama in Creatures of the Earth, Sea, and Sky: Painting the Panamanian Cosmos. Painted on ceramics, these playful depictions of serpents, armadillos, fish, and other creatures will inspire your own clay pinch-pots and animal drawings in artist-led workshops. 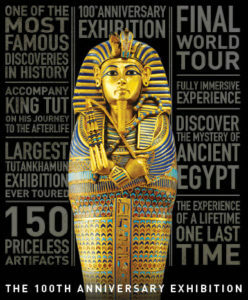 KING TUT: Treasures of the Golden Pharaoh, California Science Center, Exposition Park, opened March 24 and is open for a limited time. Celebrate the 100-year anniversary of the discovery of King Tut’s tomb at the California Science Center with the largest King Tut exhibit ever to tour. Discover over 150 authentic artifacts from King Tut’s celebrated tomb – 60 of which have never traveled outside of Egypt, until now. In a dramatic new presentation, dazzling multimedia complements rare artifacts to take guests on an immersive journey of the pharaoh’s quest for immortality. Enhance your experience with the IMAX movie Mysteries of Egypt. It is strongly suggested to purchase tickets online in advance to avoid lines and possible sell-outs. For All the World to See: Visual Culture and the Struggle for Civil Rights, Getty Gallery at Central Library, Downtown LA, February 1 – May 25. In celebration of African American Heritage Month, Central Library is hosting the traveling exhibit For All the World to See: Visual Culture and the Struggle for Civil Rights, which examines the major role imagery played in the fight for racial and social equality from the 1940s through the 1970s. The exhibit shows how popular images—sometimes disturbing, sometimes entertaining, and sometimes overtly militant—played a crucial part in promoting important ideas about fairness and social equality and advancing civil rights during a key period in America’s history. The exhibit also focuses on the role of entertainment media, especially television, as an influential force in highlighting key civil rights events. 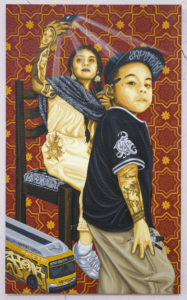 Visualizing Language: Oaxaca in L.A., Central Library, Downtown LA, extended until August 31. The exhibition celebrates the rich social fabric of Los Angeles through the lens of the city’s vibrant Oaxacan community — specifically, the Zapotec communities which make up one of the largest Indigenous groups in Mexico and Los Angeles. The Oaxacan artist collective Tlacolulokos has created a series of new murals for the Central Library’s historic rotunda that explore language and culture as a key lifeline sustaining the shared experience between Mexico, Los Angeles, and beyond, with a look at how migration and the socio-political environment shape identity and cultural traditions.